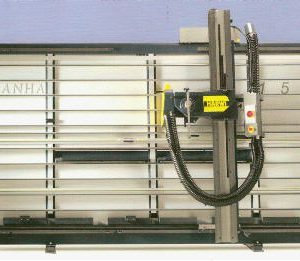 A strong and stable monoblock structure with overall dimensions kept to a minimum, allowing the cutting of considerable sized boards in a smaller work space. 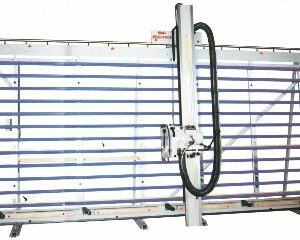 Experience gained through 20 years of producing vertical panel saws has resulted in panel saws that are simple and precise to use – at a minimal cost. The upper fence is made from ground hardened & tempered steel – always ensuring accurate square edging. 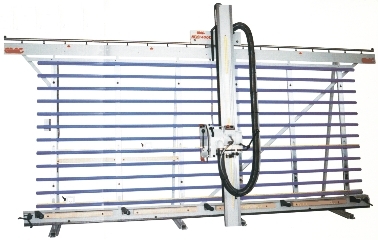 The sawing unit is covered with soundproof material reducing noise and vibrations to a minimum. Steel base is adjustable at any point. Accurate control during the various processing stages guarantees handy, reliable, low-cost and technologically advanced machines to the customer. Average equivalent continuous acoustic radiation pressure 72.0 dB(A) (no-load); 78.0 dB(A) (working)mt. 2 intermediate turnover support; 2 stops for vertical cuts. 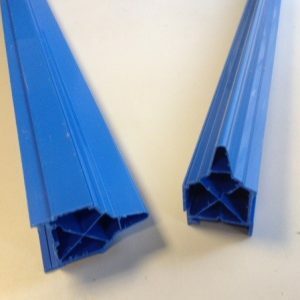 2 intermediate turnover support with measuring stops for vertical cuts. Dust extractor with collection bag. Double metric scale for horizontal cuts. Transport rollers for the sliding of boards. Dust extractor 0.75HP with bag. Scoring unit with blade diameter 110mm for chip-free cuts.